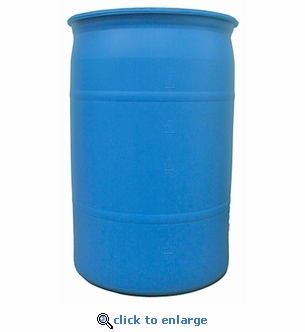 This 30 gallon emergency water storage kit comes complete with an FDA approved plastic barrel, siphon pump, bung wrench and a bottle of water preserver concentrate. The 30 gallon kit is perfect for emergency water storage needs when space is limited, such as an apartment, condo or small home. 30 gallons of emergency water can provide two months of drinking water for one person (1/2 gallon of water per day). Natural disasters can contaminate a municipal water supply for weeks or longer. Be prepared with your own supply of fresh drinking water. All of our water storage drums and emergency water kits now include a Drum Fill Date & Instruction Tag. Water Preserver Concentrate: Treats regular tap water for up to 5 years. Siphon Pump: Fits into bung opening on emergency storage water barrels. Bung Wrench: For opening and closing barrel caps on 15 gal., 30 gal. and 55 gal. water barrels.